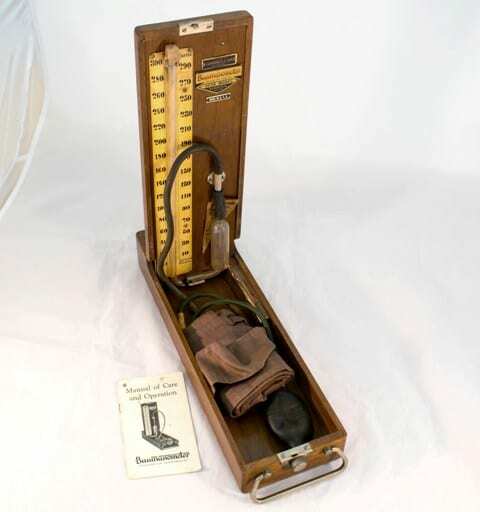 We recently received an unusual donation, and one that holds an incredible story. 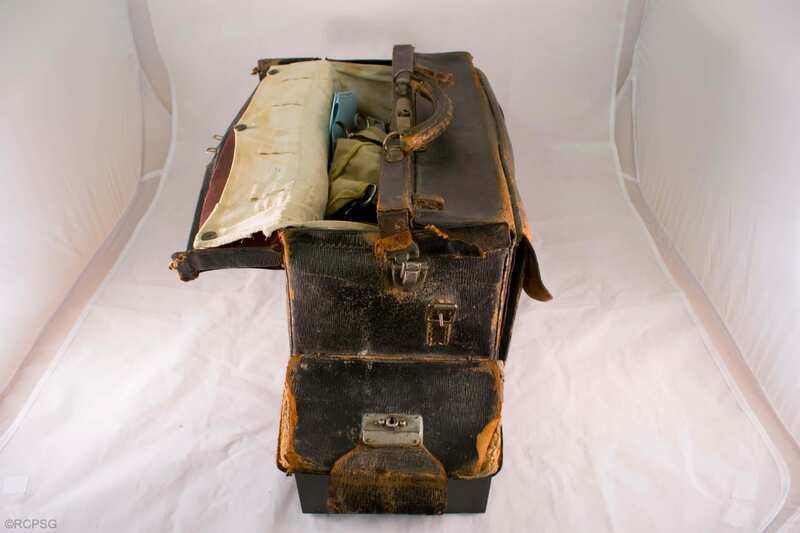 A medical bag belonging to Dr Harry R. Lillie was generously given to the College, along with a copy of his book The Path through Penguin City (1955). In this blog post our Digitisation Project Intern Kirsty Earley explains its significance. Dr Harry Russell Lillie was a surgeon and medical officer aboard British whaling ships in the Antarctic during the 1940s. 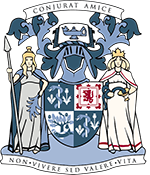 Originally from Dundee, Lillie received his MB ChB from the University of St Andrews in 1939, previously graduating with a BSc Engineering in 1926. As well as exercising his medical skills, Lillie was able to observe the conditions and methods of whaling in the Antarctic. The hunting of whales has been performed since prehistoric times, however the reasons for hunting whales has changed over time. Whales have been targeted as a food source for some communities, as well as being killed for oil and blubber. The tools used to kill whales have evolved over the years. Lillie describes in detail the specific methods sailors used to take down their prey, and, as the true scientist he was, didn’t leave out any details. “Explosive Harpoons” were used to take down the whale instead of standard iron harpoons used previously. These harpoons had a delayed mechanism, where the spear would pierce the whale’s tissue, and then explode via implanted grenades after a few seconds. As would be expected with such a large mammal, death wasn’t immediate; often it required several hours for the whale to die after more than one harpoon fired. It was this work that led to the formation of several conservation groups, including the International Whaling Commission, . In fact, Sir David Attenborough has quoted Lillie’s work when discussing the still present inhumane methods of whaling . With such an interesting background, it is safe to say that there is still much to discover about H.R.Lillie, his workings as a surgeon and as a conservationist. Lillie, H.R., 1949. With whales and seals. The British Medical Journal, 2(4642), p.1467-1468. Lillie, H.R., 1955. The Path through Penguin City. Benn Publishers. Society for the Advancement of Animal Wellbeing. Whaling. Available at: http://www.saawinternational.org/whaling.htm. Kirby, A., 2004. Whaling too cruel to continue. BBC News. [online] Available at: http://news.bbc.co.uk/1/hi/sci/tech/3542987.stm. Harry was an old friend of the family and in the late 1960s lived on the top floor of my parents home at 1 Calverley Park, Tunbridge Wells, his old Land Rover with a makeshift bunk bed parked in the driveway. He spent most days in his room writing a book and seemed to have little time for much else. My mother, Lady Muriel Dowding, had founded her Beauty without Cruelty charity to expose the cruelty caused by the fur trade, and later the abuse of animals for cosmetics, so Harry’s firsthand contribution on animal welfare topics was of great value. Harry was a kind, thrifty, energetic man with simple needs. From time to time he would be away for a while and we would learn that he had travelled across several countries to attend some international conference, usually to do with whales. He was a great, yet humble and sincere Scott – we miss him. Thanks for getting in touch with such a lovely story about Dr Lillie. It’s great to hear a firsthand account of his life and character. Harry Lillie was a magical figure in my childhood. We lived in Japan at the time, and he would appear without warning, stay for some days, maybe some weeks, and then disappear. Never any warning, but each time it happened was joyous. He’d soak his (only) suit (tweed) in the bath, re-stock on food and move on again, to pursue his campaigns: Whaling in Japan and the use of diet to cure cancer). I’ve never met anyone before or since like him. His boundless energy, his kindness, his eccentricity. The whole family adored him. I imagine his bag also came to stay with him. God Bless. He is truly an Unsung Hero. 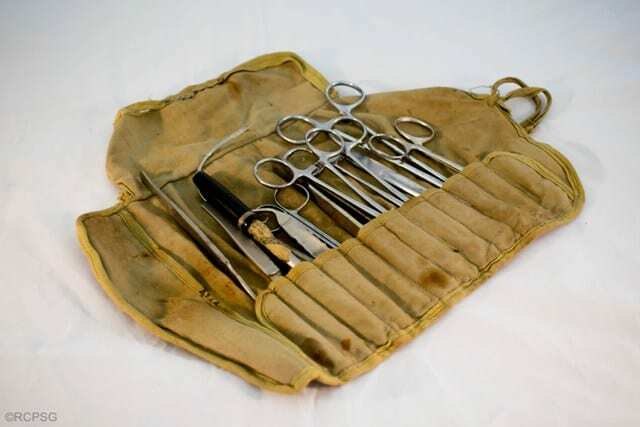 The bag is full of the standard medical/surgical kit of the time. This includes thermometers, syringes, an ophthalmoscope, poisons, and a dissection kit.